I don’t hate cleaning…but I must admit many other things take priority. I hope you and the baby will be healthy and you can find ways to rest up before it comes!! Health is a much bigger priority!! I manage to get a lot done by trying to avoid whatever it is I’m *supposed* to be doing. The floor needs to be mopped? I’ll do the windows first. That floor is still a mess? How about I get the dishes done. And so it goes. 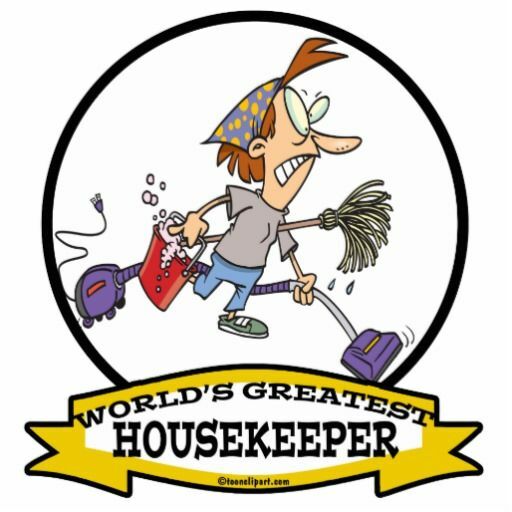 The whole house eventually gets clean by default! And I agree about the leavening. G-d probably really doesn’t care; most of those laws are made by humans, and the Good Lord is a lot more understanding than a lot of people. Best of health to you and the new baby! Lol! That sounds like a good method, if only I weren’t stranded on the couch like some whale on a beach. I just wanted to say I really liked the picture you chose for this posting! I have a pattern around here someplace for a counted cross-stitch that says “Done right, housework can kill you”. I am a fan of the ‘dirt isn’t chametz’ method of Pesach cleaning and always have been. I just don’t have the time or energy and it’s really not what it’s about. I am so glad to hear that you are doing just what you need to make it right for you and your family. That is just what is supposed to happen. I agree – there’s no need to be a slob, but dust and windows can be taken care of throughout the year! Absolutely no need to cram it all in before Pesach!